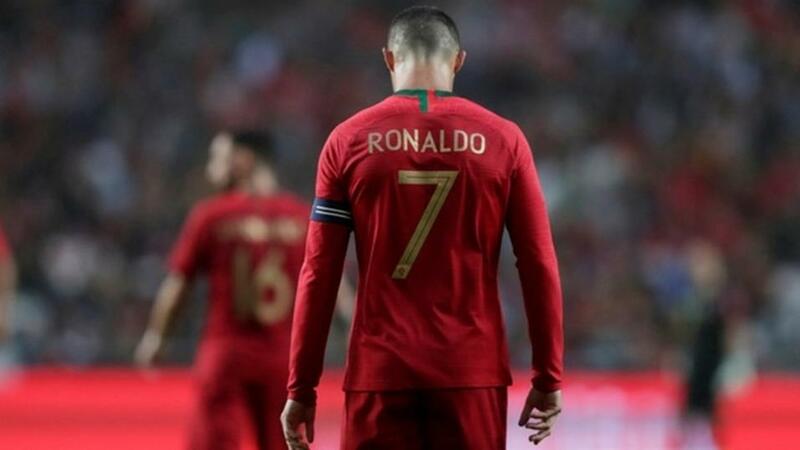 "Portugal have scored only 11 times across eight competitive home games against stronger opposition"
The Netherlands gave a valiant account of themselves in Kev's name last night - eventually. After falling 0-2 behind to old rivals Germany in Amsterdam, the Oranje came back to level the game up at 2-2 before Nico Schulz scored a last-minute winner for the visitors. Our week begins in the middle of the very same Euro 2020 qualifying round. We're jumping straight over to Portugal for one of today's games from Group B. In Lisbon, the European champions take on a team that has never made a European finals tournament, but the result could be a lot closer than you think. Just as they were in the finals of Euro 2016, Portugal are hard to beat. And they have a fine recent home record: W9-D2-L0 in competitive matches since a 0-1 defeat to Albania in 2014. However, those two draws also happen to be the two most recent home matches. A 1-1 Uefa Nations League result at home to Poland was backed up on Friday by a goalless draw with Ukraine in Lisbon. Over a longer period, Fernando Santos's men have not been prolific on home turf. Though they have thrashed international lightweights such as Andorra, Latvia and the Faroes, they have scored only 11 times across eight other competitive home games against stronger opposition. In autumn last year, Serbia played three away games in the Uefa Nations League. They kept clean sheets in all of Lithuania, Montenegro and Romania. Having drawn a friendly in Germany last week, they are now unbeaten in seven matches since last summer's World Cup. The visitors are missing Nemanja Matic and Aleksandar Kolarov this evening, but they have some eye-catching talent further up the field. Having scored more than 20 goals for Eintracht Frankfurt this season, Luka Jovic is on Barcelona's radar. Dusan Tadic is in form too, then there's Mitrovic, Milinkovic-Savic and Ljajic. We fancy the underdogs can make it a close game. Backing them +1.0 on the Asian Handicap means we'll have a winner if they avoid defeat and we'll get our stake back if they lose by a single goal.